With 3D imaging, We Unlock The Third Dimension! 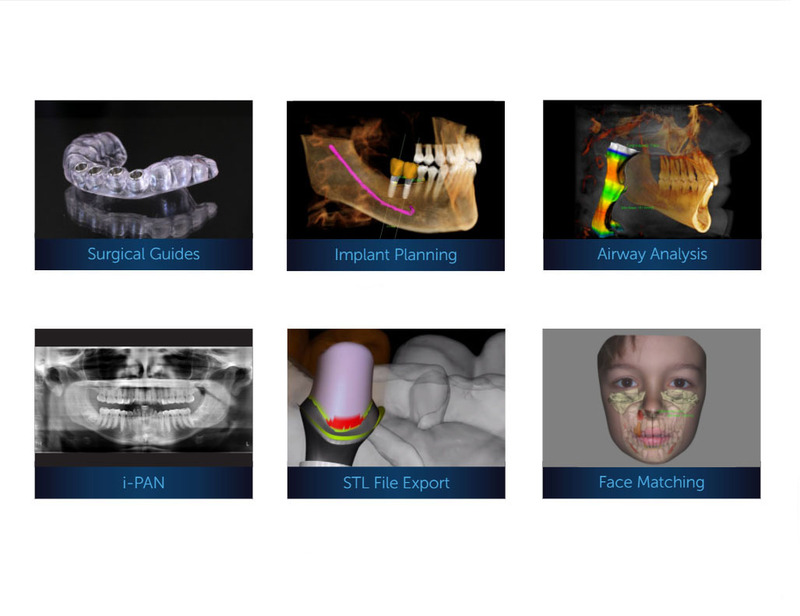 Expand implant-planning capabilities with a fast scan workflow and unique open software architecture, which make i-CAT universally compatible with all leading surgical guide providers. Perform treatments with more confidence and efficiency — and fewer complications — with surgical guides ordered through Anatomage service. Measure bone density and plan implants, abutments, and restorations simultaneously within a 3D volume or a panoramic view. Avoid potential surgical complications by checking for root entanglement prior to extractions with automatic nerve canal tracing. Automatically compute the total airway volume, and view segmented areas of constriction to aid in the treatment planning of obstructive sleep apnea and other airway disorders. The i-PAN feature allows you to take a quick 2D pan using the same high quality sensor that is used to acquire 3D scans. Software improvements enhance overall 2D image quality. Simply export STL files from Tx STUDIO software so your lab can create the final restoration based on your exact design. These files also work with a wide variety of CAD/CAM and 3D-printing systems. Bring your 3D scan data to life by superimposing a digital photograph of your patients on their scan data with face-MATCH™.